Real Rice Sticks add a modern touch to rice made snacks. Made with brown rice and rice bran oil, and hot air baked, they are light, crunchy, and very tasty. Their unique mouthwatering flavours are hard to resist. They are perfect for light snacks, lunch boxes, and gatherings with friends and family. This crunchy premium rice snack will tantalise your taste buds. After I went flatting with some friends who loved rice crackers I found I also enjoyed them. Initially, I had thought that rice crackers or rice sticks would be bland and dry, this was not the case. Since then I have been actively trying different flavours and also other rice-based products such as rice wheels. When I saw that there were some flavoured rice sticks available to review, I thought I would put my request in and hope to try them. There were 4 flavours to choose from - Cocoa, Garlic, Hot & Spicy, and Turmeric. I received a packet of the Cocoa Rice Sticks to review, I thought that the packaging was striking with the contrast between the colours on the label and that you could see the actual product. When I opened the packet there was no doubting that the rice sticks were cocoa flavoured as I could smell it instantly. I picked up one from the packet and noticed that the rice stick was thoroughly covered, and my fingers were covered in cocoa residue. I popped it into my mouth and took a bite, the rice stick was nice and crunchy. Initially, I wasn&apos;t a fan of the taste of the cocoa but after another couple, the flavour grew on me. The fact that the packet is resealable means once they are opened they don&apos;t lose their freshness or crunch factor. I enjoyed these sticks as a quick, healthier snack and my children enjoyed them too, however, I do not think I would necessarily go out of my way to purchase them personally. 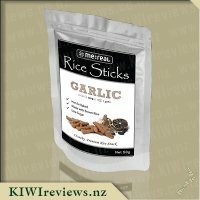 When I saw these Rice Sticks pop up as a review product on KIWIreviews, I was intrigued and hoped that I would get some to try. In our house, we all love chocolate so thought that these might be a nice and healthier way of having a snack! I was not really sure what to expect to be honest, so approached them with an open mind. The packaging itself is quite simple - but with colour changing the label, it makes it very easy to select the correct one. The packaging is an opague bag, complete with a resealable strip - meaning you do not have to eat the whole lot at once - and since the recommended serving for a bag of 50g is 2, this is a great thing. The packet stands up on its own and takes up little space in the cupboard also. I tore open the tear strip however it tore unevenly and the bag did not actually open so I ended up cutting the top of. It was near to lunch time so I decided to try the three kids on these at lunchtime and get their opinions. I poured some out onto each plate, and noticed that is was more of a baking cocoa smell than a chocolatey, so I wondered how these might go with them. Looking at the ingredients, the numbers are great - very little sugar and fat, a small amount of protein but mostly carbohydrates from the brown and black rice used to make them. I tried a few and would sort of describe them as a combo of rice crackers and the old poppa jacks chip things. The children came and sat down - picking up the cocoa rice sticks and trying them. Unfortunately they were not keen - only one of the three ate them, the other two exclaiming they were yuck and not like real chocolate. I was surprised that my sweet tooth was the one that liked them - she said they were like chocolate rice crackers and would be good in ice cream. We are yet to try this though! I am not sure I would buy these, having tried them - they just are not my family&apos;s thing - however - I like that me:real is thinking outside the box and creating options for parents that are new and interesting. Chocolate (or actually cocoa) rice sticks?! Well, that got my attention!! 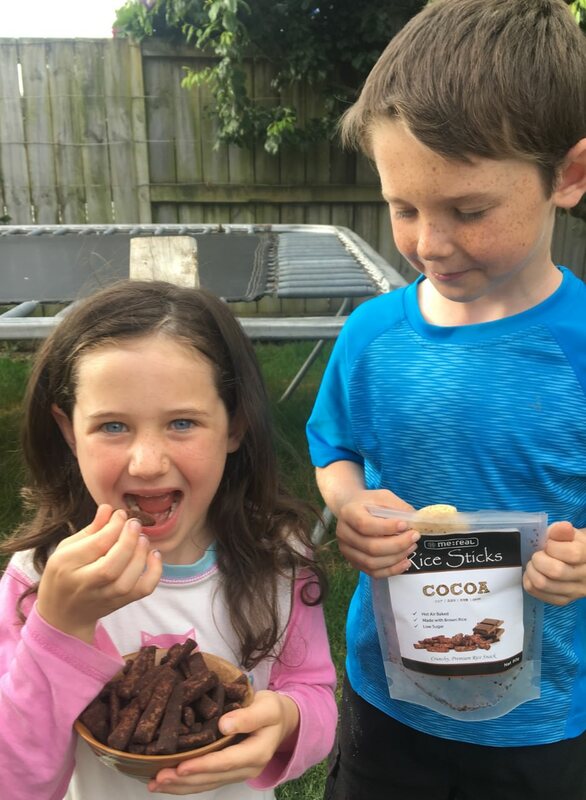 Although I am very particular when it comes to chocolate, I was keen to try something a bit different and hopefully find something different as a treat for my kids (aged 6 years and 2 years old). I love that this packing is resealable. So many &apos;snack&apos; items are not and I either have to go find a peg or similar or find a container big or small enough. Not always easy! But this packet would be great to take away in the nappy bag or picnic basket. The packet is also visually appealing to me, just simple black, white and brown and it works for me! It even looks healthy in that packet. The pieces of rice sticks inside were the perfect bite size and you could definitely get more than the 2 servings suggestions on the back with the nutritional information. Which, I found to be very reasonable! .9g of sugar per serving, and I would definitely cut that serving at least in half. But in the tasting, I didn&apos;t enjoy it overly much! The much-anticipated chocolate flavour was a real disappointment. Maybe I was hoping for too much like a chocolate flavour? Perhaps a more dark chocolate would have more taste. The flavour on the rice sticks certainly made a mess on the kids&apos; fingers too! Not that they enjoyed them sadly. What I would have hoped to have been a new and exciting snack item for the pantry, especially at a very reasonable price, unfortunately, will not be. 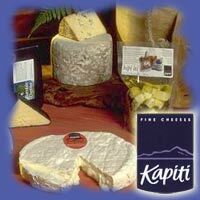 The smell was extremely yummy, and the burst when you opened the packet was divine. Certainly not like some rice snacks you can buy where the smell is actually rather putrid and not appealing at all. It smelt more like what you would think the snack would taste like which was disappointing. I would certainly recommend others to try for themselves and others, as the price makes it affordable even if it is a miss like our household. When I hear the word &apos;Cocoa&apos; the first thing that springs to my mind is CHOCOLATE and when chocolate is involved there is no doubt in my mind that I don&apos;t want to try it, so when I saw the rice sticks available in cocoa flavour I was definitely putting my hand up to try them, especially as the label features an image with squares of chocolate on it. Opening the packaging proved to be a little bit of a challenge as the little tear strips just didn&apos;t seem to want to tear easily for me, however this was easily resolved with a pair of scissors luckily. Like the rest of the rice sticks range the cocoa variety comes in a clear, somewhat frosted bag like packaging which stands upright making storage easy while not taking up a lot of room in your pantry, it features a snaplock system which is perfect for resealing and keeping the product just as fresh as it was when you opened it. Miss 4 and I decided to try out of the rice sticks each, the first thing which I actually noticed was that the rice sticks were actually coated in actual cocoa and that there wasn&apos;t a drip of chocolate in sight as I had kind of been expecting, none the less we gave them a go. Miss 4 commented that her fingers were all dirty from the cocoa and said "eww yuck" she wasn&apos;t a fan of these at all and to be quite honest neither was I, the texture of the rice stick itself was lovely nice and crisp and crunchy, however I just wasn&apos;t a fan of the bitter cocoa flavour, it was just like that of the cocoa sitting in my pantry and by no means would I sit and eat that on it&apos;s own. I really didn&apos;t want to have to waste this product so it was time to put on my thinking cap, what could I make with these? I had decided that it needed to be something sweet but the question was what? After thinking about this sometime I came up with the idea of using the rice sticks to make a very small batch of chocolate crackles, after all two of the 5 ingredients used in these are cocoa and rice bubbles. I got to work with Miss 4 after popping out to buy some Kremelta, and first of all crushed the rice sticks slightly with a rolling pin so that they were in small pieces but not completely crushed up, I then added these to the melted Kremelta, coconut and icing sugar and mixed it all up, once this was done I decided to pour the mix into a lined baking tray rather than the traditional cupcake liners and then placed it in the fridge to set. Well I have to say I was most impressed with the results, the slice tasted great and even my partner who "wasn&apos;t trying the rice sticks" loved it and ate it without knowing. 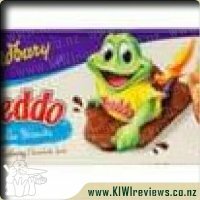 Again even though this isn&apos;t a product I would buy again it has been a great one to try and one that made me think about something fun to do with it, it is healthy option for a snack and something that a rich, dark chocolate lover may just well enjoy. 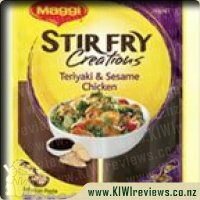 This was not a product that I would add to my trolley if I saw it in the supermarket, but that&apos;s a benefit of being a reviewer, I get to try things I wouldn&apos;t usually. The packaging is nice and simple, clear on what it is selling but to my eye, unattractive. A bonus in its favour is the fact that it is resealable, always handy, especially when I often have snacks in my bag for the kids. Opening it up I could see plenty of cocoa powder in the packet, but couldn&apos;t detect and smell of cocoa and in fact, found the smell rather unpleasant, a point of view my kids and mother shared. Everyone grabbed one to try even though the kids were a bit hesitant. My six year old took a bite and didn&apos;t like it all, running to spit it out. My eight year old finished her piece but pulled a face with each bite and declined more, saying that she didn&apos;t like the taste at all. My ten year old took a bite and said there was no way he wanted to finish it. My mother had a piece, she didn&apos;t like the texture or the feeling of the cocoa on her lips. She couldn&apos;t reconcile the cocoa flavour with the snack style. I myself found it tasted horrible, no cocoa flavour at all for me, and it left a bad aftertaste in my mouth. While the price is good for the quantity, I found the taste horrible and will not have this again in the future. To be completely honest, when I requested to try these I really wasn&apos;t sure what to expect. 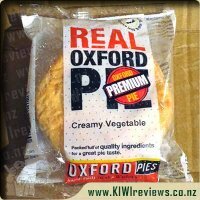 But that is the fun part of being a reviewer for KIWIreviews - you get to try products you wouldn&apos;t normally even look at twice in the supermarket. 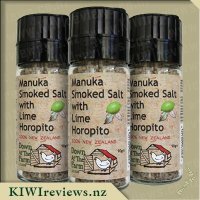 Reading some of the other reviews before trying them I was even more hesitant, as it seemed that other people hadn&apos;t enjoyed them. Opening up the packet I was met with a strong smell of cocoa. This was to be expected though as looking through the see through packet I could see that the rice sticks were coated in cocoa. To be honest, they really were one of the most ugliest snacks I have seen! They certainly wouldn&apos;t look very appetising put out as part of a nibble platter, but I moved past this as you can&apos;t always judge a book by it&apos;s cover. Each stick was roughly the same size, and they were the perfect size for fitting in one mouthful. Picking one out of the packet the cocoa came off very easily, leaving me with cocoa covered fingers. For someone who doesn&apos;t like getting messy when eating, these wouldn&apos;t be ideal. As I tasted my first one I was quite surprised. They weren&apos;t as bad as I had expected after reading other reviews, in fact, I went back for a second one just to see. There was a hit of the healthy brown rice flavour, and that was soon followed by the bitterness of the cocoa, and then a little bit of a sweet kick to finish it off. There was even a hint of chocolate flavour, which upon reading the ingredient list I could see that a chocolate powder had been used. I was pleasantly surprised by these, and it certainly proves that everyone has their own tastes and their own opinions about things. I thought I might end up trying to pass on the packet, but it will be going back into my pantry for when I am craving something a little sweet and chocolatey. This is one of those times that we found that we tried something new, and it really wasn&apos;t for our family. 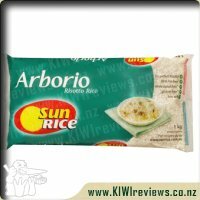 The rice sticks are presented in a really practical manner, a robust plastic packet, that stands by itself, the packet is clear so you can see how much is left, and is resealable! The only negative comment is I could not see anywhere on the packet that this was recyclable, I would assume it is, but I think this is something that could be easily marked on the packaging so that consumers know, I know for me this is something I consider when making purchases. When the packet was opened the smell of cocoa was strong, it smelt as if I had opened the cocoa packet in preparation for baking a cake. The rice sticks themselves were a good size, and were not crushed at all, which is quite a feat as they have been enthusiastically examined by my children. The girls chose one each, and immediately commented on their fingers getting covered in cocoa as the sticks are very liberally coated. Everyone gave it a try, and although the sticks themselves are crunchy and light, the cocoa flavour was intense and had a residual after taste. None of the family wanted a second stick, which seems unfortunate as I think had it been a different flavour these would have been a huge success in our household. If you do not have a sweet tooth, and enjoy a dark cocoa flavour I would recommend these for you, I am going to look at the other flavours and try these again, as they are healthy with no nasty extra&apos;s, air baked, and the rice sticks themselves are crunchy and light. I think these would be a great snack and would be a great addition to lunch boxes, I feel I simply didn&apos;t make the right flavour choice for our family. When I first heard about me:real cocoa rice sticks I thought they would be a great way for me to get a chocolate hit without too much sugar. The packet says that they are made with brown rice, low sugar and hot air baked. That has too be better for me than a chocolate bar but would it be as satisfying? Only tasting them would tell me that. They rice snacks come in a transparent bag which can stand up which hopefully means they won&apos;t be getting spilled all over the table, car, grass or wherever. The bag is resealable and after two weeks they were still really fresh. I wish all snacks were packaged as conveniently. There was a little sachet inside of moisture absorber too. The rice sticks had most of the cocoa on the outside and I thought that my fingers would get horribly messy like they do eating twisties. Although I did get a little on my fingers, made worse when I licked my fingers, they are certainly not as bad as twisties. They have a good crunch to them but nothing to be embarrassed about when eating in public. These are more for a dark chocolate fan as they don&apos;t have the sweetness of milk chocolate. Miss 7 and Miss 9 enjoyed them but didn&apos;t come back for seconds. I on the other hand could sit munching on them in front of the TV quite happily. It is interesting to note that although it doesn&apos;t state anywhere on the packet, the rice sticks contain no gluten. I am assuming it is because they haven&apos;t spent the money getting them certified as gluten free. 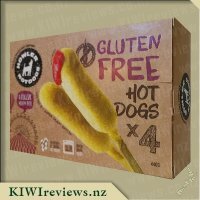 For this reason I wouldn&apos;t recommend them for celiacs but would be fine for those trying to avoid gluten.My sister has a mild gluten intolerance and was pleased to discover she could eat these. These were fascinating from the moment I got the packet. The packet is very clever and stops the rice sticks being squished. The container is resealable which is helpful. Unfortunately you can&apos;t get your hand into this so you need to pour them out into a container - which is fine. Also the holder is not able to be recycled which is a shame to me as it is quite large and feels a bit wasteful in the end as I used all in one sitting so I never used the ability to reseal the packet. 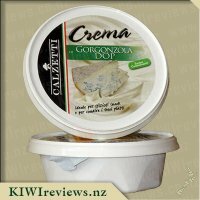 The volume was really good and a bit more than I was expecting in the container from the outside. The labelling was good and clear and they are gluten free which is helpful too. So the smell is quite cocoa-like rather than chocolate which is fine but makes the whole experience a bit dry for me. 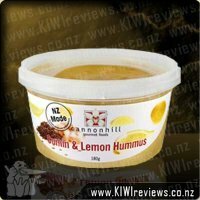 I found the coverage amazingly good but the dryness of that flavour was very apparent to me. The look was good - strong and dark and a great size for snacking. I didn&apos;t enjoy the cocoa flavour but I think that is down to personal taste as it was clearly cocoa and not too bad according to others. I think I was expecting more of a chocolate effect. I also didn&apos;t like that for me I think rice sticks are probably more of a savoury taste so there was a missing sweetness I was expecting. In conclusion if you like cocoa then this might be for you but for me this was a product that was a disjointed taste that I will not buy again. 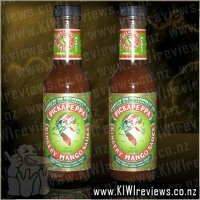 I am keen to try the savoury flavours though. They definitely tasted healthy which might work for others as they were easy to not feel too full from. Everyone loved these rice sticks. There were a few double takes when I told them all what the flavour was, but once they had got their heads around that and tasted one for themselves, they were all hooked. The flavour was rich and strong, and each little stick delivered the promised full on crunch experience. We all thought the taste was, as promised by the product name, more like cocoa than processed chocolate, despite the picture on the packet cover. Chocolate is very rich and creamy and I find it hard to eat very much of it as it is so sweet. The coating on the sticks, however, is much more of a real pure cocoa taste with more full on flavour and less sweetness. After we had tried a few on their own, we started to put them together as part of a dessert. The children were in charge of organising this as they often come up with good ideas and of course this is good practice for when they eventually leave home. In the end, they decided not to make a dessert at all but instead to make a hot chocolate drink for everyone to accompany them. I agreed that this might be a good combination, but suggested they make chocolate milkshakes and serve them cold as the weather was not really suitable for hot drinks. There was one negative reaction to the sticks, and that was due to the cocoa coating being quite messy. Mr Seven was wearing a white top when he started so he was made to change to a blue top because the white one was getting stained. We had to insist that everyone washed their hands after they had finished so that we did not have cocoa tracked all around the house. Luckily, we were eating them outside, so there was minimal gratuitous decoration of the carpet! Other than the reservations we had about the dusty aspect of the cocoa coating, we really enjoyed these rice sticks. 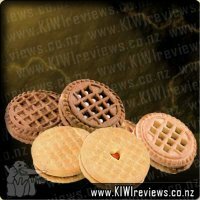 They tasted good, they were surprisingly filling considering their light texture, and the sugar content was low enough to make them a healthy snack. With the chocolate milkshake they made a satisfying dessert; now that soy milk is readily available, the two of us with cow&apos;s milk sensitivity were able to have almost exactly the same combination as the others. Did I mention that they come in a resealable packet? No need - there is no way there would ever be any leftovers! Some of the boys like it hot. Real hot. So Rufus did his best to please &apos;em. This sauce nearly ate through his pot stirrin&apos; spoon. 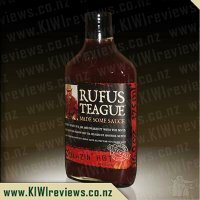 It&apos;s too hot for ol&apos; Rufus, but the boys and barbecue judges all over absolutely can&apos;t get enough of this stuff.